Find your lowest workers comp and GL insurance rates for janitorial services. See if your business qualifies for one of our Target Janitorial Programs. Workers compensation and other lines of insurance can be difficult to obtain and afford for many janitorial service companies. That's why we've partnered with select insurance carriers to offer turn-key solutions for these types of businesses. Wether you specialize in residential or commercial cleaning, Our agency has programs available for workers comp, liability insurance, and more. 9014 Janitorial services by contractors- No window cleaning above ground level. This class is applicable to insureds that provide janitorial services to others. This includes keeping homes and buildings clean via routing dusting, mopping, vacuuming, waxing, polishing floors, trash removal, sanitizing, and general cleaning duties. Minor maintenance may also be included when performed in conjuntion with cleaning services including light bulb replacement and cleaning carpets. 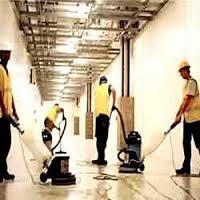 9170 Janitorial services by contractors- Includes window cleaning above ground level. This class is similar in most aspects to class code 9014, however, it specifically inldudes the inside and outside cleaning of windows above ground. 9008 Janetorial services by contractor- California only. This is a state special class code and applies to to similar operations indicated above. 0917 Residential cleaning services. This classification is applicable to businesses that provide residential cleaning services inside of a customer's residence. Cleaning services should be internal in nature and may include tasks such as dusting, mopping, vacuuming, and sanitizing. Typical workers would inlclude house cleaners, cooks, laundry workers, maids, butlers, and nannies. NOTES There are a few state exceptions for these class codes. Please contact our Workers Comp Specialists for details on your state's rules. Ask about our low cost General Liability Program for Janitorial Services with USLI. Hartford's package program provides all lines of coverage for janitoral services in a single policy. Amtrust Insurance offers program rates for qualified commercial and contract cleaning services. First Comp Insurance is perfect for new business owners and small business insurance. AIC offers policy credits on workers comp and general liability coverage for cleaning companies. Accident Fund provides access to some of the best prices on workers comp for claeaners. Travelers rates are excpetional and they have a Master Pac program for janitorial service business owners. We have access to the best prices on residential cleaning insurance and commercial cleaning in most states. Many of our carriers offer competitive rates on liability and commercial package coverage specifically designed for janitorial services. Get workers comp quotes today and start saving on your insurance. A lot of agencies have access to insurance markets that offer workers compensation coverage for janitorial and environmental services companies. But we offer exclusive programs with lower class code rates so you find the best deal on coverage.